Looks a pretty 'cool' beetle with its glossy pale green colour? Well think again folks, this little critter can completely decimate your Lilly Pilly (Syzygium) hedge. 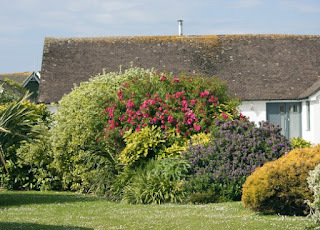 If your hedge is looking a bit like the following image ....... read on for the bad news. 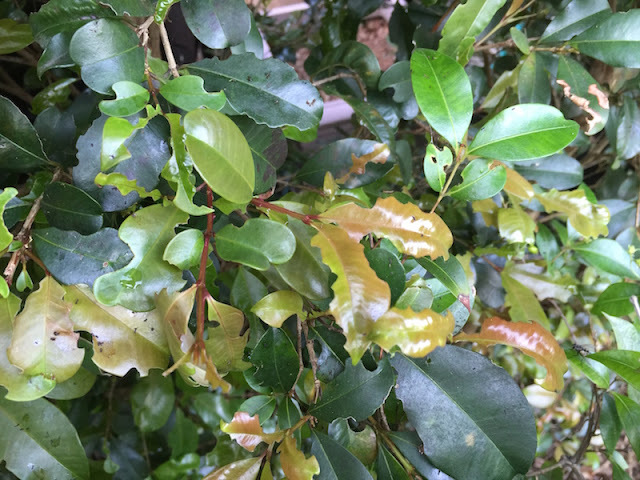 For some time the green strip leaf beetle Calomela pallida was thought to be the culprit for the edges of Syzygium leaves being chewed which gave the hedge a sparse, lacy appearance. 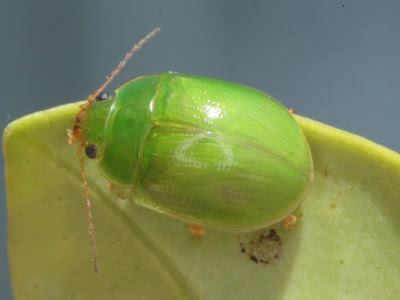 However, Dr Chris Reid, an Entomologist and Leaf Beetle expert at the Australian Museum in Sydney correctly identified Paropsides calypso was to blame. 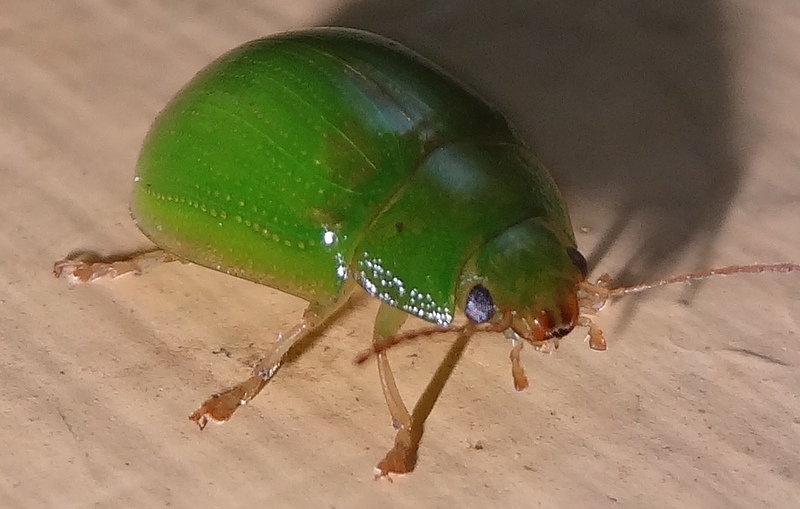 This 9mm, bright green beetle is an Australian native beetle from northern NSW but can now be found from the tip of Queensland all the way into Victoria - mainly due to the popularity of Lilly Pilly hedges and poor quarantine between nurseries. It has taken from 5-10 years for the beetle to spread such a huge distance. Its eggs are laid on leaves or leaf buds, and the green larvae are relatively solitary (not clustering) during feeding. Paropsides calypso pupates in the soil and both beetles and larvae feed on Syzygium leaves. The larvae is quite large - around 2cm, pale green, glossy and a bit like a curl grub stretched out (quite chubby). As this pest has only recently been identified as being a huge problem, there is not a lot of information on just how best to be rid of it. If you are lucky enough to have chooks a sweep along the hedge might knock the larvae to the ground and the 'girls' can forage for the juicy larvae, also as they pupate in the ground the chooks might be able to scratch them out too. Neem oil has been found to be effective but one has to be quite diligent to get good spray coverage on the hedge. There was a post written earlier this year about Diatomaceous Earth - this might be worth a go too - to see this article please click here. Growing plants as a monoculture can be a problem as it has been found that one by one the world's most toughest garden plants are succumbing to newly-discovered, debilitating pests and diseases - take for instance the Elm, Ash, Buxus, Roses, Agapanthus, Impatiens, Clivea etc etc - the list goes on. Every time we plant a hedge, or a single-species border or a sweep of identical perennials, we can spread and encourage either existing or future pestilence. Just figure, the pathogens that are attacking these mass-planting favourites aren't usually unknown (as is the case with Paropsides calypso) however when we start to supply them with unlimited food all conveniently co-located, they can rage out of control. With so much food on hand they can quickly multiply and spread rapidly, the plant species affected doesn't have time (through seed-grown generational development) to generate resistance. 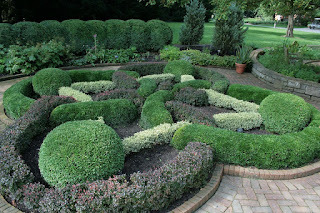 Monoculture planting is not a modern design element in gardens - Boxwood (buxus) hedges, for instance have been used for hundreds of years in formal gardens. Its use has been popular because it can be shaped to produce intricate topiary and have a dramatic effect in very formal arrangements like knot gardens. Design elements with grouped swathes or hedges of single plants to provide harmony and unity within a garden space have always held sway in garden design. Why do we grow hedges? Is it for privacy, as a boundary marker, to keep intruders out, as a windbreak, as a way of creating special spaces within a garden, or as a feature? ........ most hedges would be grown for more than one of these purposes. Perhaps a sure fire way of preventing the spread of these modern day pests is to have diversity in our plant selections in our gardens. 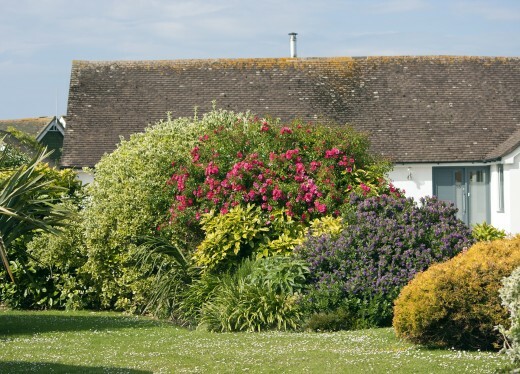 If privacy is the main driver for a hedge and space allows, an informal, or natural hedge could be worth a thought. The disadvantage of course, is that there is not the actual 'formality' of a hedge. On the flip side though, a natural hedge of mixed plantings will only require light pruning from time to time and provide a wonderful soft backdrop in your garden. Of course, the excellent added bonus would be encouraging a diverse cross section of fauna to your garden to assist with management of pests! Further reading can be seen at Derek J. Whitten's blog. Among my buddies associated me personally, spoken to Heath and that he has been really interesting. Establishing the assistance for more bumble bees facts, organizing has been wonderful. On day's visit the help has been provided and since I have been house plus they cleared the complete house I simply love the services. The Kachnar tree or Orchid tree, serves many purposes in Pakistan and one of those is that it's flower buds and flowers are a source of food. 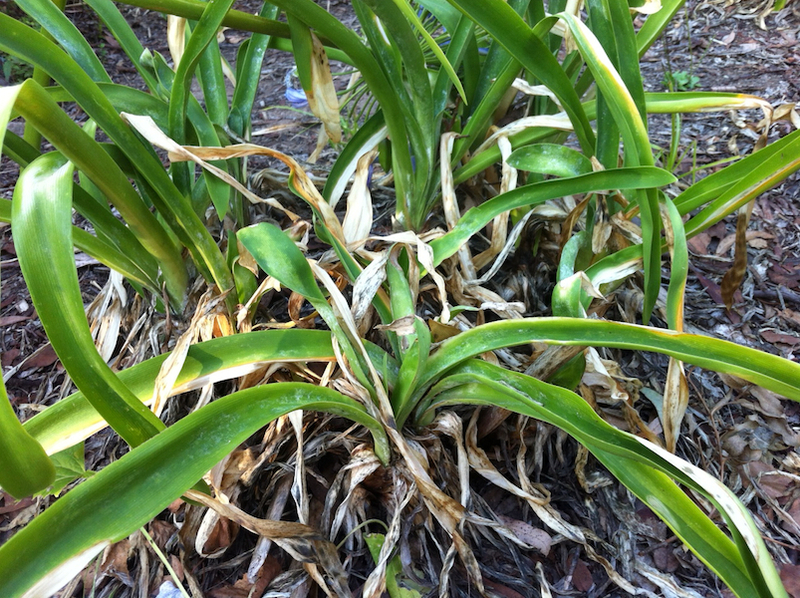 However, it is considered a pest in Florida, where it is an invasive non-native species. I am an arborist who is interested in profiling Paropsides calypso for pest management purposes. 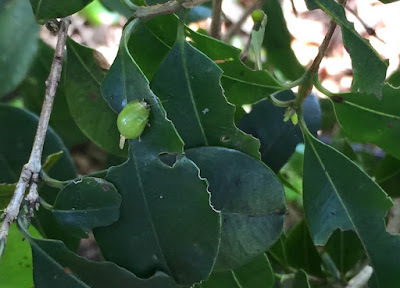 I have a large population in some Syzygium hedges and trees near my house and there is significant dieback, defoliation and numerous adult beetles. However, I have so far been unable to collect any samples of larvae to photograph. Do you have any photographs, or have you observed the larvae in action? 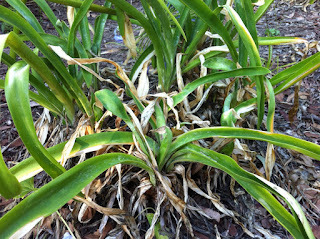 I am unable to find published data on the mode of damage caused by the larvae (roots or foliage?) I have seen clusters of eggs on the underside of the leaf lamina but no larvae as yet. Any help or commentary would be most helpful. Sorry there are no further images that can be shared with you. Also as yet I haven't actually seen this critter in action, but thought it worthwhile to write a post as a warning to folk who have planted monoculture hedges of Syzgium. Chrysomelinae feed on foliage as larvae and adults. They are very host specific. Martin thank you so much for posting the link - you sure know your subject! Amazing amount of Chrysomelinae images. So I guess it fair to say, that folk should be looking for further damage in Spring? So vigilance would be called for. Hi Derek, I've inserted a link to your blog so folk can read more. Thanks for your link. I've sprayed my lilly pilly hedge with Yates Success only yesterday and now have a lot of dead Paropsides all over the place. I cant locate any larvae either. I used 10ml/litre and saturated the leaves all ove the plants. Yates say Success is not certifed treatment for this but i had nothing to lose and far less drastic than some of the other options. I also fed with Gogo juice - 9litres (diluted) per tree. Now to get rid of the scale! Thank you so much for your feedback Julian - there are bound to be people who are willing to try anything. Let us know if it has had a long lasting effect. Thanks for sharing your collective knowledge and experience with Paropsides calypso. I have managed to locate larvae on my Syzygium trees/hedge and am reasonably convinced that they also are defoliating the host. A note to other readers; before you launch into a chemical treatment for your Syzygium trees, please spend a few days trying to collect other insects from the area. There is surprisingly little published data on natural predatory associations with this pest which limits our ability to use biological controls instead of chemicals. Try using a beat sheet (a blue tarp works well) and shaking the tree. Collect anything that has fallen out of the tree and try to have it classified by an entomologist. Based on known predators of Chrysomelidae (beetles) in Europe, native insects from Diptera (Order - Flies) and Pentatomidae (Family - Shield Bugs) may be likely suspects. If anyone manages to collect any evidence of what preys on this beetle please be sure to share with the forum. Yates Success has proven complete eradication and GoGo juice feeding. Hedge is well on its way to recover. Thanks Julian - I'm so pleased that your hedge is recovering! When your bushes are healthier the scale may not be so much of a problem? Yates Success is certified organic. Its a bacteria based solution. My hedge is thriving now. Prior to treatment it was doomed and it got rid of scale also. Outstanding! So the Yates product lived up to its name, excuse the pun! Finally. Yes this is what has totally munched our 120 tree hedge too! We couldnt identify the larvae and thought it must have been cherry slug or something, we randomly sprayed them a couple of days ago with success so I'm relieved to hear that success worked for these pesky beetles. Now for a bit of a trim and hopefully the rest of the warm autumn we're having in melbourne will help them bounce back. Definitely have to be vigilant with these suckers, they had an absolute bithday on our trees in a matter of weeks. Julian also advocated the use of Neutrog's GoGo juice to boost the hedge as well - might be worth a go. That sure is a very valuable hedge you have and imperative that you beat the little munchers! Yates success worked for us and the hedge made an amazing comeback - but just a note that they have made a small return approx 3 months later, hardly any damage but we watch the new growth closely and saw they has been back. So another round of Success and now we seem to have some scale and possibly a fungal infection we need to deal with.....if it's not one thing it's another! When the nursery tells you that Backyard Bliss is tough, hardy and resistant to pests I'd get a few and try them at home first before you commit to a full hedge! Thank you so much for your valued update, it's important for other people to know how you are getting along with your hedge. Just a quick update, I've also a small outbreak again in the last couple of weeks. I'm guessing there must have been eggs or larvae in the soil that wasn't treated with the spray. Its no where near as bad as the first infestation however. The first treatment, I applied a full bottle of success (diluted according to instructions) to approx 30 trees. Also a full bottle of GoGo juice (9 liters diluted per tree) and had great results. I'll apply the same treatment this coming weekend and will advise results. I have this bug as well in my hedge of 5 trees that are approx 3 years old and have now managed to grow just above the fence line, I was looking forward to this fast grower to cover my view of other houses sooner. I am tempted to pull the plants out and start again, or pull out a couple of them and plant some olive trees. I have been treating it with hot chilli soaked in water and then spraying often. It knocks them off the plant, and was effective the first times I was using it, but its becoming less effective now, or perhaps I need some fresh chilli. When Sydney had a big rainfall in march/April 2017, I think the physical act of the rain fallin on the tree for so long, knocked a lot of the bugs off, and I got a good lot of growth then, but since then, my trees are just not growing, and I am finding it difficult to get time to spray them so often. I will try the Yates success and GoGo juice now. Other creatures on the tree are some orb spiders, and leaf insects (plant hopper Acanalonia Servillei) . There is some little spiders making webs around the new foliage, that might be protecting the new growth, but the tree has not been successful in growing recently. Somehow the 3 pot plants that I have of the same plant seems to be doing better, it dropped all its old foliage and made new fresh foliage without getting much damage. There is a lot of wind where these trees are located. They are indeed back with a vengeance. Back to the same course of action. Perhaps i should have been more vigilant with the regime of Success and GoGo juice it would seen. So sorry to see that they are back! Wishing you well with THIS outbreak - what a bummer! One the gardeners looking after the North Terrace strip from King William to Frome road. Since having a separate organisation planting syzygium hedges all along Kintore Avenue (ANZAC Walk)back in February 2017 the Paropsides calypso's have appeared!!! Since then, Every single syzygium hedge has been affected (over 30+). What's the plan to get rid of them Cameron? There are heaps of people interested in this very pesky pest! At the same time, many of us are not interested in pest control and the problems caused by pests as well as the pesticides we use to control pests. The dimension changes in a slanting patio nursery manage normally the making of open air rooms at various statures each with an interesting climate. The spaces can be encased as well as indented for security and closeness or opened up making a bright patio with a spectacular view.